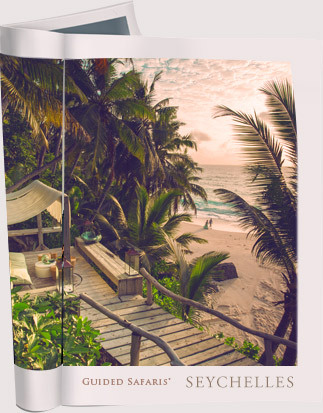 Faru Faru is a vibrant East African style luxury safari lodge with quirky elements of botany and entomology. 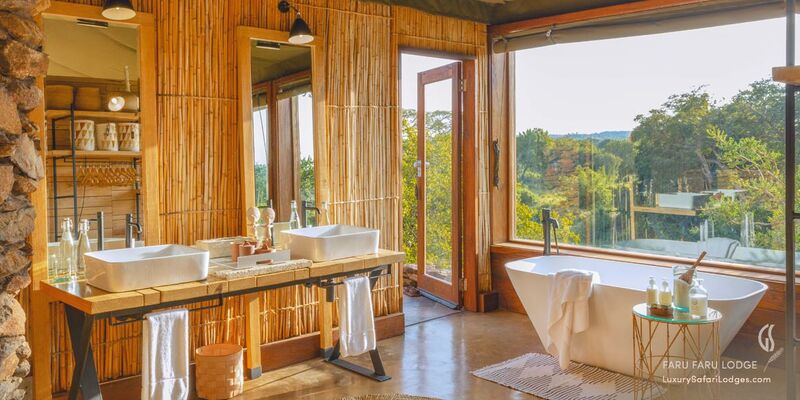 A quiet, idyllic proximity to the riverine wilderness gives an authentically-refreshing and holistic connection with nature. Built on a gently sloping hill, Faru Faru Lodge is a calm and cooling respite after the long drives into the Serengeti wilderness. 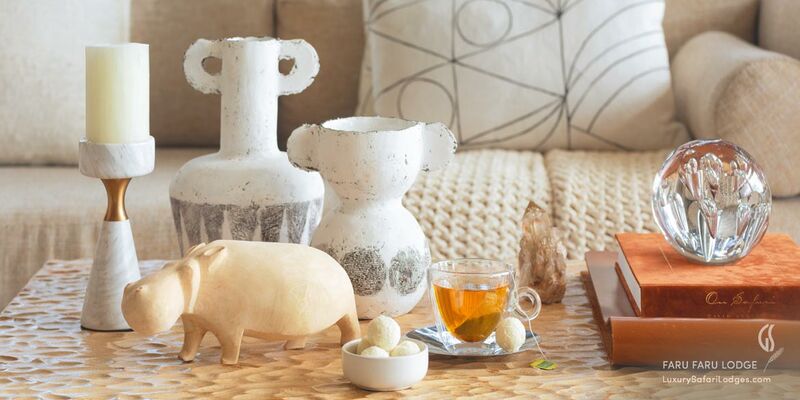 The camp is informal, unconventional and surprising at every turn. 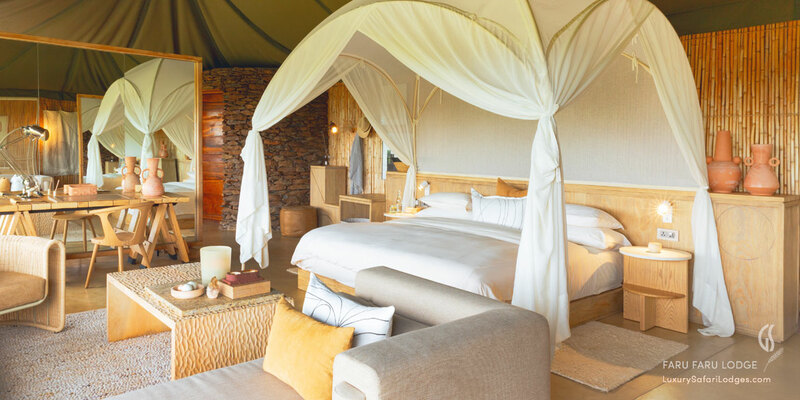 Singita Faru Faru Lodge's six air-conditioned tents feature picture windows and private viewing deck, with your own Swarovski spotting scope. Faru Faru is set in the quirky practicality of a traditional botanist’s camp. 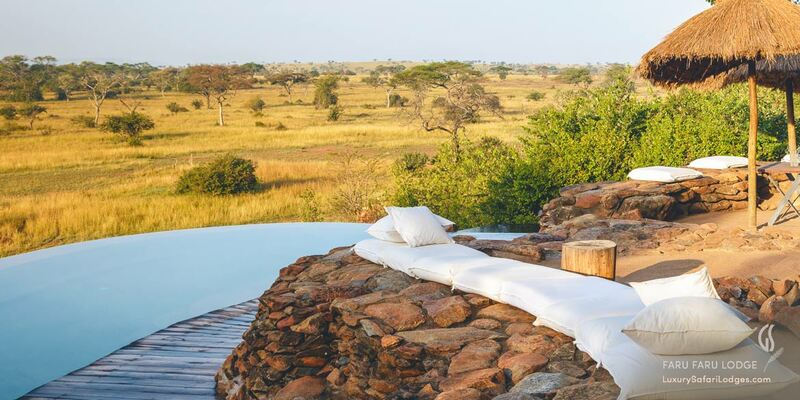 The enveloping river and Serengeti plains around the lodge offer an intimate connection to the wilderness. 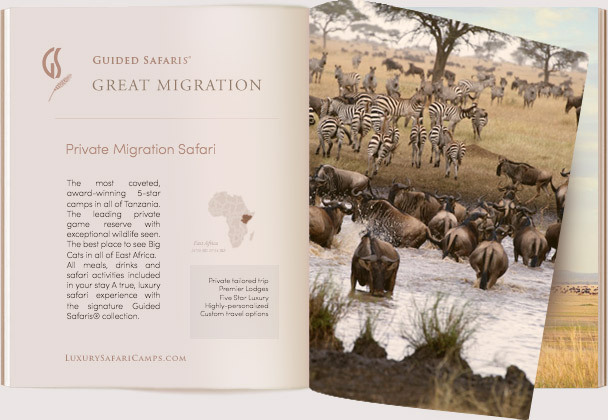 Private Game Reserve traversed annually by millions of animals on the Great Migration route. 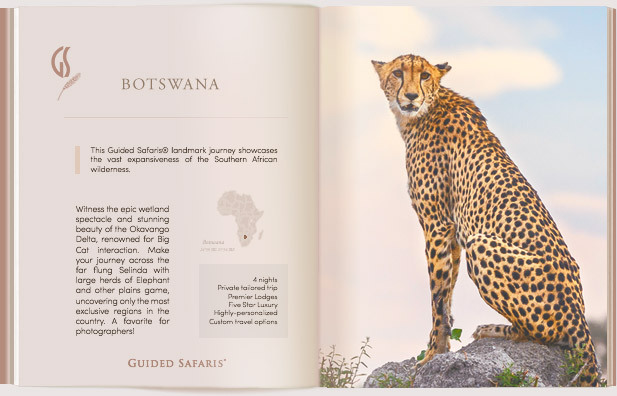 Renowned game viewing in the Great Serengeti with opportunities to see Black Rhino and other rare species such as bat-eared fox. 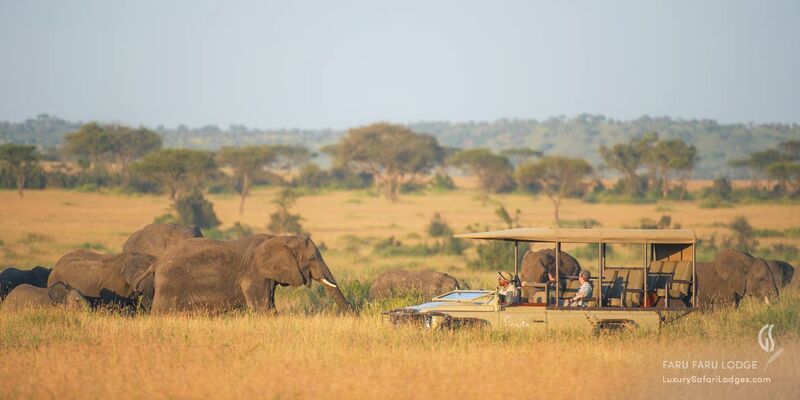 Experienced Tanzanian Trackers & Guides to lead your drives in the mornings and afternoons. Experienced riders can embark on exciting horse safaris through the Great Serengeti plains (at extra cost). 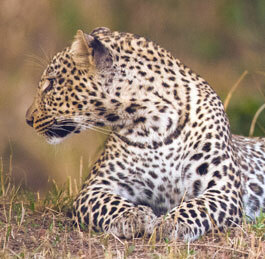 Witness a large concentration of plains game and Big Cats. 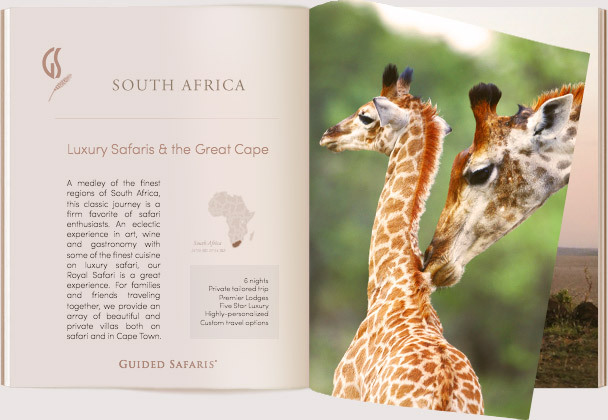 Your visit supports conservation at Singita Grumeti Wildlife Trust. 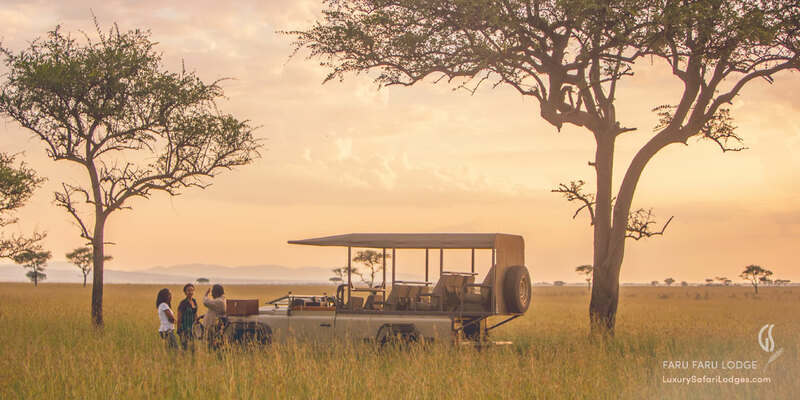 Singita Faru Faru Lodge is built in the classic East African safari camp style with the tented suites and lodge areas reflecting a contemporary take on tented living. 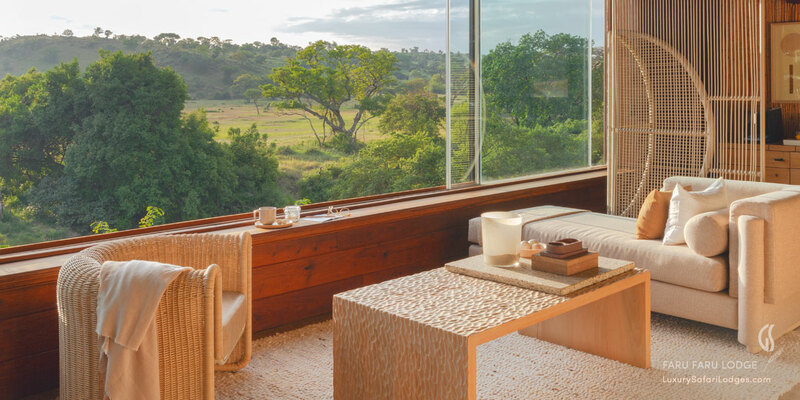 The Singita Faru Faru lodge offers a main lounge and dining room, elevated viewing decks, heated pool, spa and a gallery. 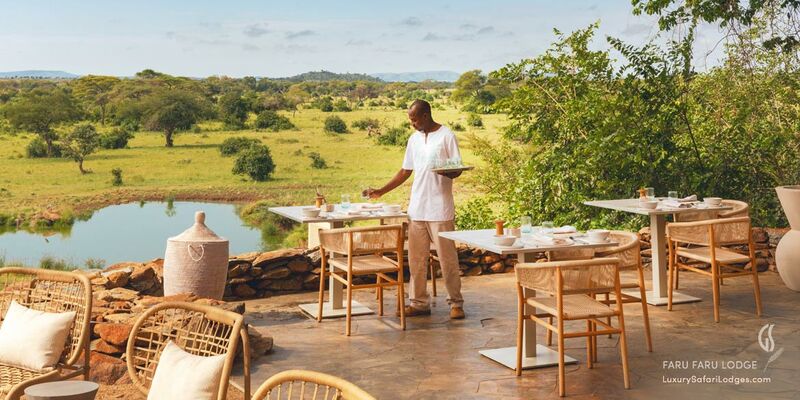 Enjoy cocktails by the heated pools at Faru Faru Lodge overlooking the waterhole frequented by Elephant and other plains game constantly moving around camp. 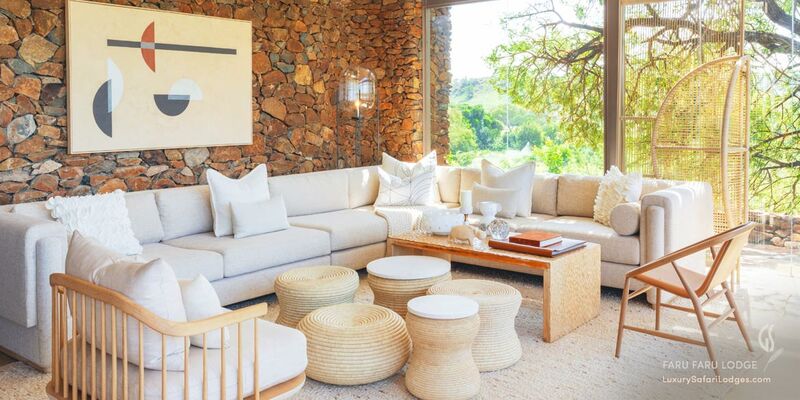 The lounge areas are reminiscent of the Swahili beach towns brought into a welcome retreat in the Serengeti wilderness. 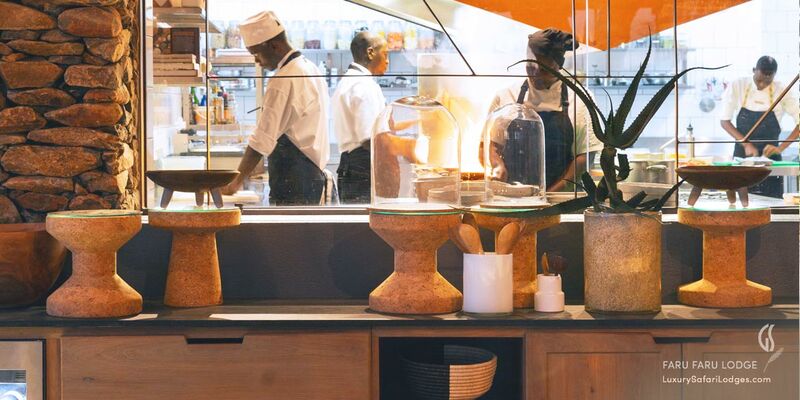 Nouvelle-African gourmet cuisine is prepared from authentic East African recipes and paired with fine wines from the Singita cellars. 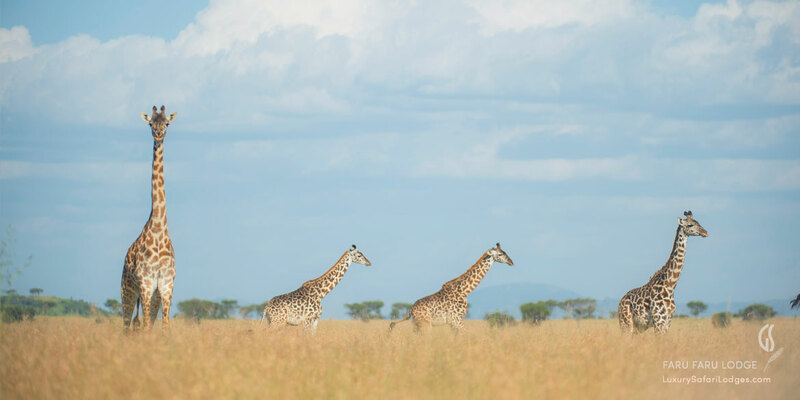 Depending on your international arrival and departure plans we can arrange for connecting domestic flights from major airports in East Africa to be packaged into your entire stay at Grumeti Reserve with Guided Safaris®. Ask about our upgraded Private Family Villas at Faru Faru Lodge for your exclusive use; Contact a Guided Safaris® specialist to tailor your stay. 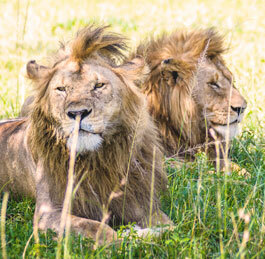 Full tailormade safari for multi-generational travel: Get in touch for a custom offer tailored for your private party. 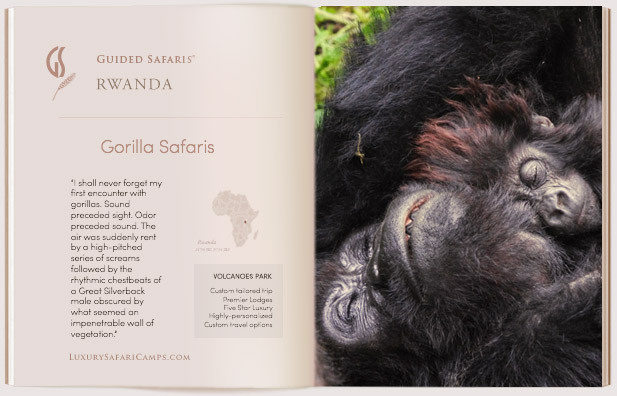 Ask about our special Grumeti packages for your 6th night free. 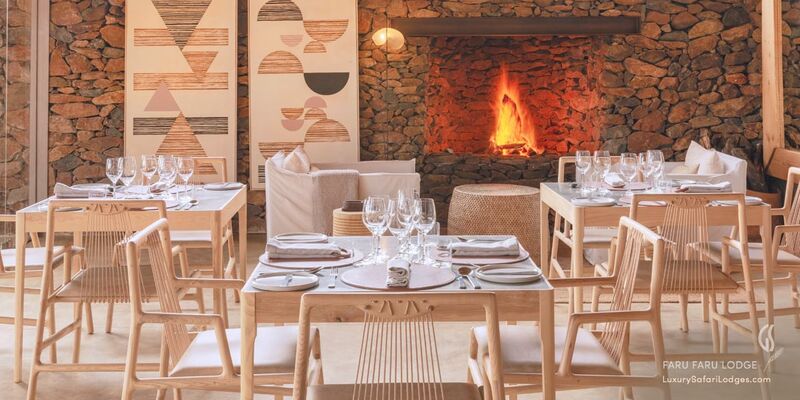 All Dietary needs & requests are taken into special consideration to ensure every comfort. Some of the special activities offered for families and children include: Board games, Wildlife DVDs, Cooking and baking with chefs in the private kitchen, Visits to the local community schools when class is in session, Archery, Fishing, Swimming, and the Mini Rangers’ Course that opens up a whole new world to young explorers. 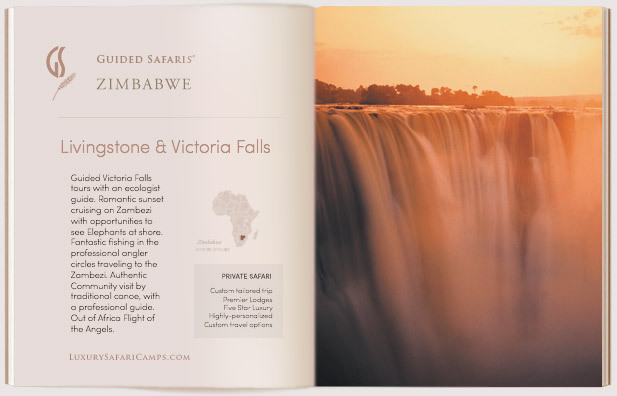 This programme includes: tracking animals; frogging; butterfly capture and release; a cosmic safari (astronomy); learning bush survival techniques; flower-pressing; game-spotting competitions; nature quizzes and a Ranger’s Test. Upon completion of the course, these proud achievers are awarded certificates to recognize their new-found knowledge and accomplishments. CHILD POLICY (under 16) 50% of adult rate, sharing room with parents. Book our special packages and take advantage of great savings on the prices at Faru Faru Lodge for a longer stay combining our lodges. 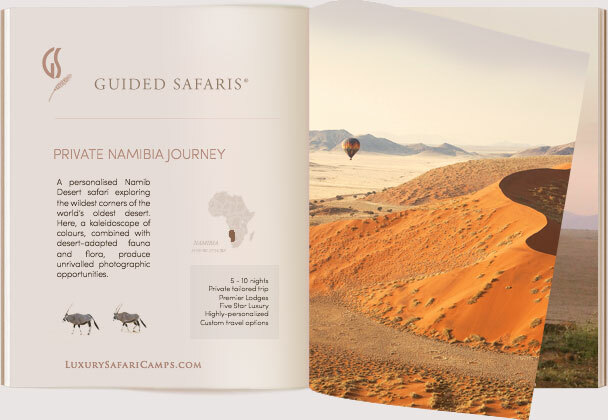 Price Excludes: Flights to camp airstrip, Single supplement.